How We Gained It: Both of us have struggled with our weight since college. Callista was in law school full-time and Jason was working full-time and going to school at night for his MBA. Neither of us made health or fitness a priority. Callista got pregnant with our first daughter in July 2006, and then our second daughter in June 2008 and finally our third daughter in January 2010. 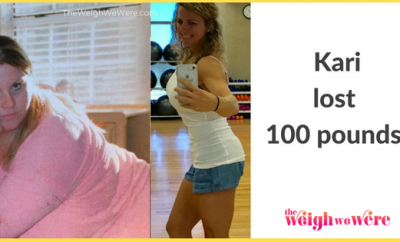 During all of her pregnancies, our weights spiraled out of control. We did not eat very healthfully and did little to no exercise. We ate what we wanted without thought. We ate out a lot. We also ate a ton of processed foods, soda, fried foods, fast foods, etc. Breaking Point: Slowly over the first year of our youngest daughter’s life, we both noticed how little energy we had to do anything. We were always tired and not active with our children. Our girls are the most important people to us in our whole world, and we just knew we did not want to be these unhealthy role models for them any longer. 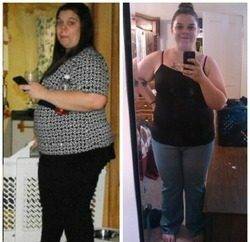 Callista had multiple emotional breakdowns over her back pain and was basically told that surgery was going to be an option but that weight loss might help. The fact that something she could control could be causing her pain was an extreme motivator in addition to wanting to raise her children right. We wanted to be able to play with our children and not get out of breath. Callista wanted to be able to put her daughter in the crib without back pain. 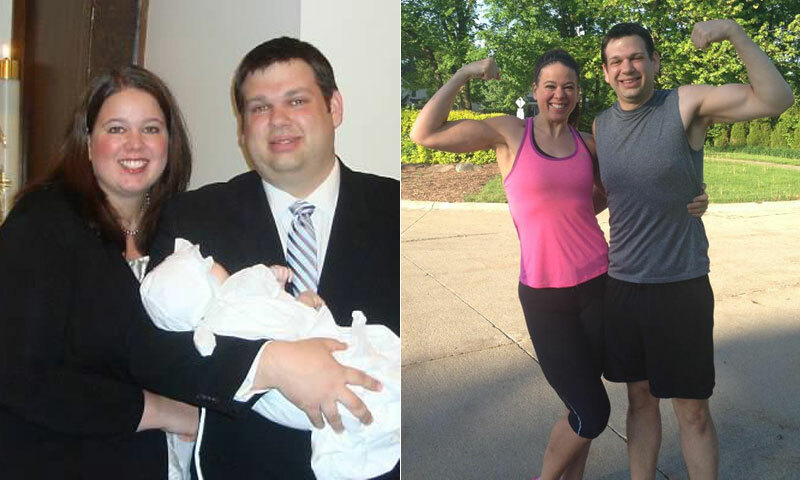 We wanted to be fit and make health and fitness a family priority. We didn’t want our daughters to go through the same struggle we did someday because of our bad habits. We wanted to take parental responsibility for what we were feeding them and their activities. We wanted to teach them early that eating healthy and exercising is necessary if you want to live a full, healthy and long life. It was daunting to start, but we said as soon as Callista was done breastfeeding our youngest daughter, we would try. 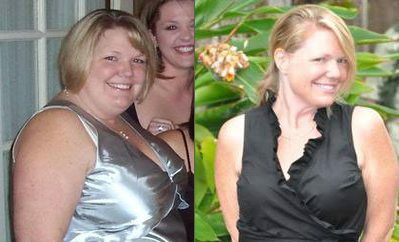 How We Lost It: Both of us started with the Couch to 5k running program in December 2011. It’s a nine-week program, but because of injuries, Callista having to have an emergency surgery and just being so out of shape, it took us until the end of May 2012 to complete the program. The program committed you to running three days a week. On the other three to four days, we did some type of other cardio, like biking, elliptical, incline walking or rowing, and a strength program that Callista would get from her trainers at her employer’s gym. We both used an iPhone App called MyFitnessPal to track exactly what we were eating on a daily basis. We set out to keep a caloric deficit that would help us lose two pounds per week. Once we got going, we never looked back. We added more challenging workouts and both committed to training for and running our very first half-marathons. Callista has since run her first marathon in January 2013, and we both ran a half-marathon together this May. We committed to running it in under two hours, and our final time was 1:59:15. Both of us had tears in our eyes, and we kissed after crossing the finish line. Exactly one year before, we had been disappointed we still couldn’t run even three miles. We also slowly but surely researched and changed our diet along the way. Multiple times over. We started just cutting things out here and there, like soda, white bread, processed junk food, and adding lighter and healthier versions to the mix. Now, we eat little to no processed foods at all, except for the occasional treat. We both eat five times a day. After getting into weight lifting, we both decided to participate in a figure/physique competition this upcoming fall to try something new and push our fitness limits even further. It is amazing how happy life can be when you are not struggling with health issues that you can control. We make no excuses. We both have full-time demanding careers, but we are very supportive of one another’s gym time. People ask us where we find the time. When you make something a priority, you make time. We gave up watching television for hours at night, drinking alcohol at night and basically being “sloths” as we would say to get the rest of our lives back. 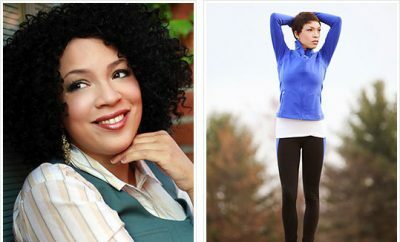 Callista’s arthritis and other back pain has virtually vanished since losing the weight. Our lives are focused on healthy activities for our children now. Our oldest daughter, Bella, has already expressed an interest in running a 5k, and we are only going to encourage that. Our children ask for us to make up workouts for them after dinner all the time. We love seeing them having fun with fitness. It truly is like we are different people. Both of us are the fittest and healthiest we have ever been, and it feels absolutely wonderful to know we did it with exercise and healthy eating habits. wow! Congrats! You are amazing! So very great to change your life and to do it as a couple! ! Charles Lee Pitts we can do it!